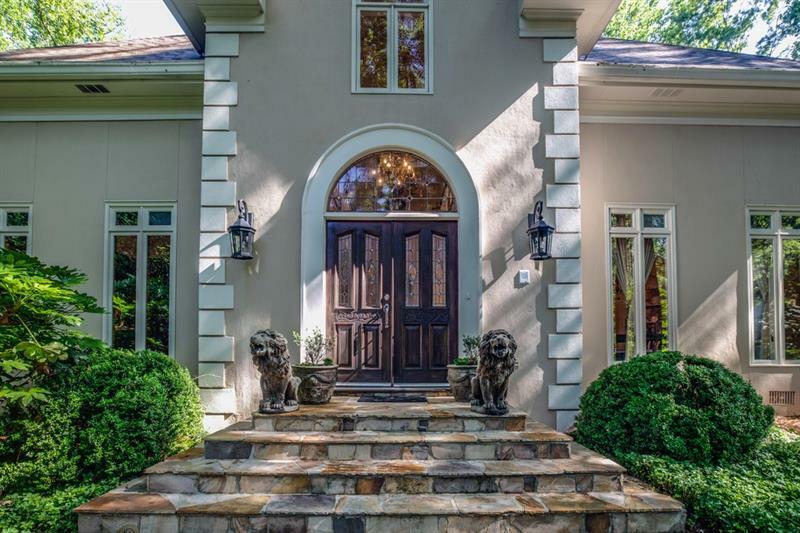 Sweeping views of Chattahoochee River & level walkout to 150' of river frontage! Surrounded by nature w/ exceptional privacy & tranquility year round, with no homes directly across the river. Incredible river views from almost every room. Chef's kitchen w/ open layout overlooking great room w/ vaulted ceilings & stone fireplace. Master suite on main w/ his/hers closets & spa tub. Gorgeous backyard w/ covered & open patios to enjoy the outdoors. Private backyard is complete w/ Gazebo & river terrace w/ boat launch. Upper level bedroom suites each w/ private bathroom. A representative from Metro Brokers has received your request to visit 310 Riverhall Court on at .